Applying Gamma Correction to your images can visibly improve their appearance, granting more image depth, defining lights and shadows better, and highlighting details. Adjusting the values of Gamma is different from simply correcting the brightness or the white balance in an image. This feature virtually implies the ability to bring the digital photo as close as possible to what you saw with your naked eye when taking it. 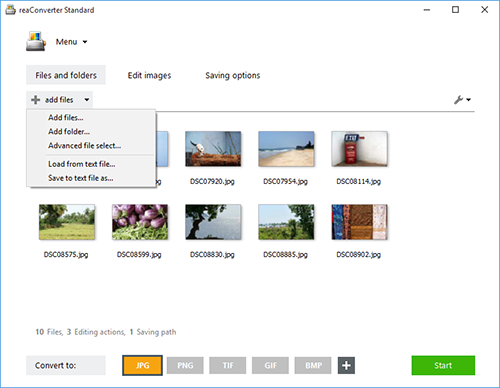 Add one or more image files by selecting them from your hard drive or by drag-and-dropping them into the reaConverter window. They can be any type of image files, because this powerful software supports not only popular extensions, such as JPEG, PNG or BMP, but also RAW, CDR, NEF, ARW, or other less known and rare image files. Go the Edit images tab, click Add action, and then Color Adjustments and Gamma Correction. 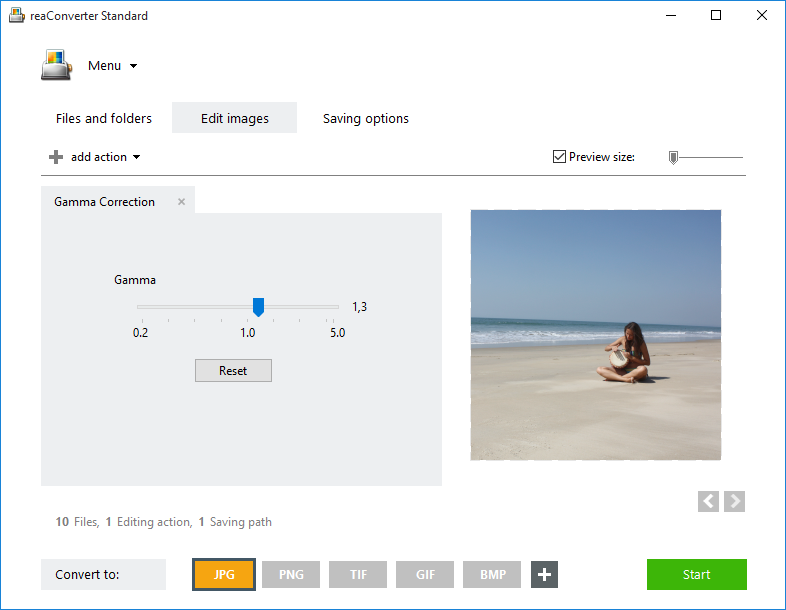 Here you can easily customize the Gamma values in your image, while checking the result in real time in the Preview section. 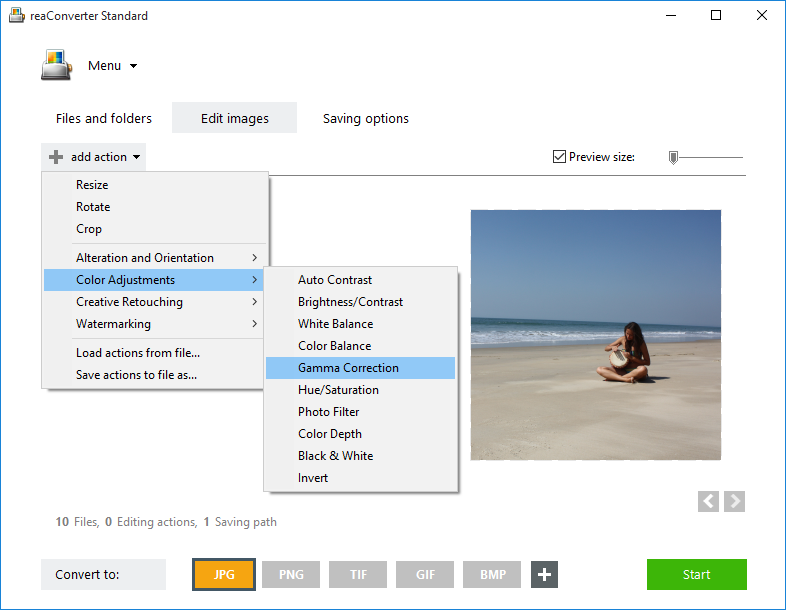 In the Saving options tab, decide if you want to save your corrected images locally or online. reaConverter provides several options in both cases. Last but not least, you can choose to change the format of your output images by converting them to one of the extensions listed on buttons from the bottom of the screen. If you don't see your desired one there, click on the + button and you will find a whole range of other formats. Finally, click the Start button and enjoy your new images soon! Command-line gamma correction tool is an advanced feature meant for professional use, and is available in Pro edition only.